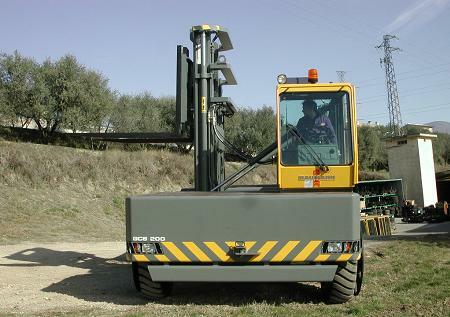 Whether it be for the transportation of steel, aluminum, timber, plastics or concrete, the Prestige series Model GS BAUMANN SIDELOADERS are at home in any business sector, providing for the safe and efficient movement of long or bulky loads. Loaded with power and speed, this diesel powered side loading forklift solves material handling problems with precision and without damage to the material. Because of its extreme maneuverability even in the tightest of places, the Prestige diesel sideloader is the answer to those big material handling problems.